The Whole30 — What is it and what do you eat??? Today is Day 30 of my Whole30 Challenge!!! Woo Hoo! We (me and Dan) did it (with a few minor cheats). Why would you want to eat such a restrictive diet??? It’s not about what I couldn’t eat.. .it’s about what I COULD eat. Restrictive means different things to different people. I’ve eaten whatever I wanted to for 45 years… so now? Now I’m going to eat what’s good for me and good for my body. Sure, I’ll treat myself once in a while… but I want to feel good and be healthy. I’d rather not eat things that are bad for me to accomplish that… so it doesn’t feel like a restriction anymore. It was hard at first, but every day gets easier! Things I didn’t eat: All forms of dairy (cow, sheep and goat), all forms of gluten and grains (no wheat, rice, quinoa, corn, white potatoes, etc. ), alcohol, sugar (nothing added at all), legumes (including soy and peanuts) and absolutely not chemicals or processed foods. There were a few “natural” things to avoid as well… such as carrageenan— that crap is bad for you. What exactly COULD you eat and DID you eat??? All kinds of good things! I got this question a lot… people would ask me what I COULD eat… thinking the program was so restrictive. The program isn’t as restrictive as it seems… it’s just a fair amount of work — a lot of cooking. I could eat all fruits and veggies (including sweet potatoes), organic, grass fed and pasture raised meats and sustainable, wild-caught seafood and fish, pasture raised eggs and butter, healthy fats (avocado, grass fed ghee, coconut oil, animal fat, grapeseed oil and olive oil — not to cook with though), nuts, seeds and coconut in all forms! BTW — coconut butter is INSANELY DELICIOUS. The “Joanie Burger” in a box, by local burger company B.Good. 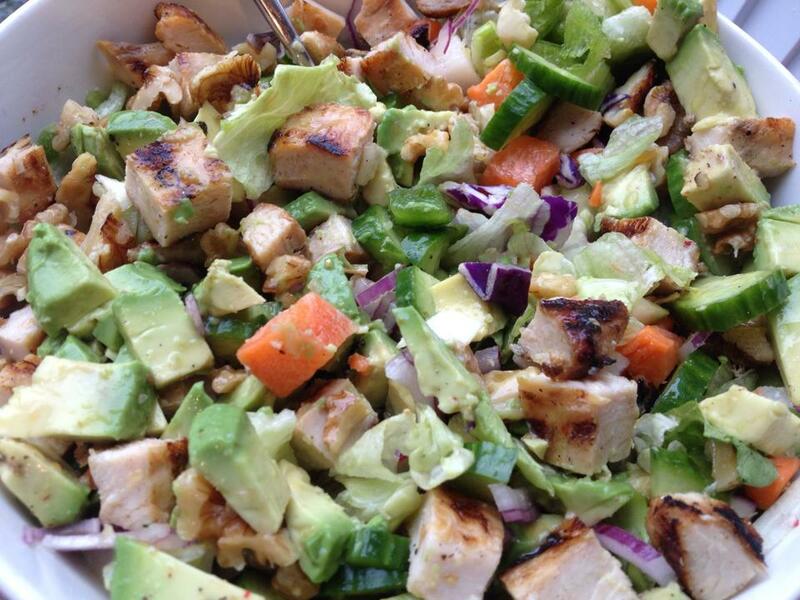 Big salad with grilled chicken, avocado and lots of veggies. 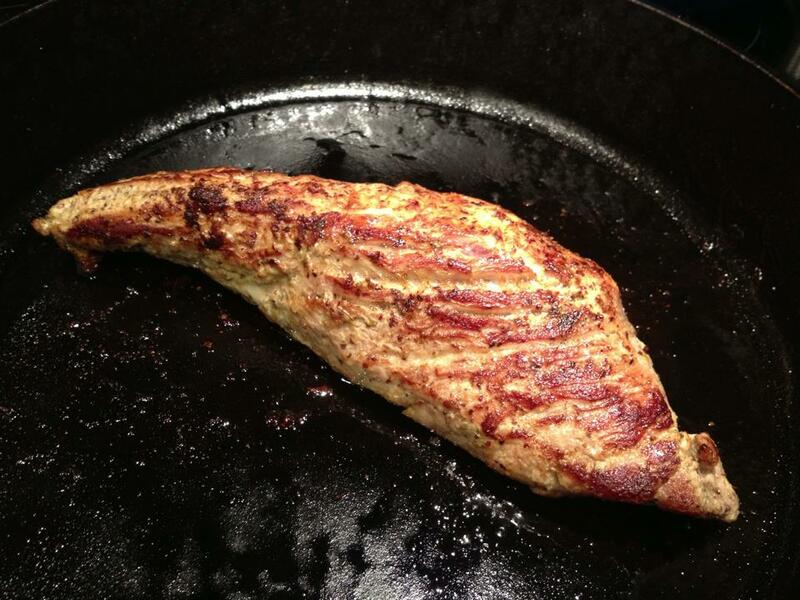 Pork tenderloin, which I had with a big salad and cauliflower “rice”. 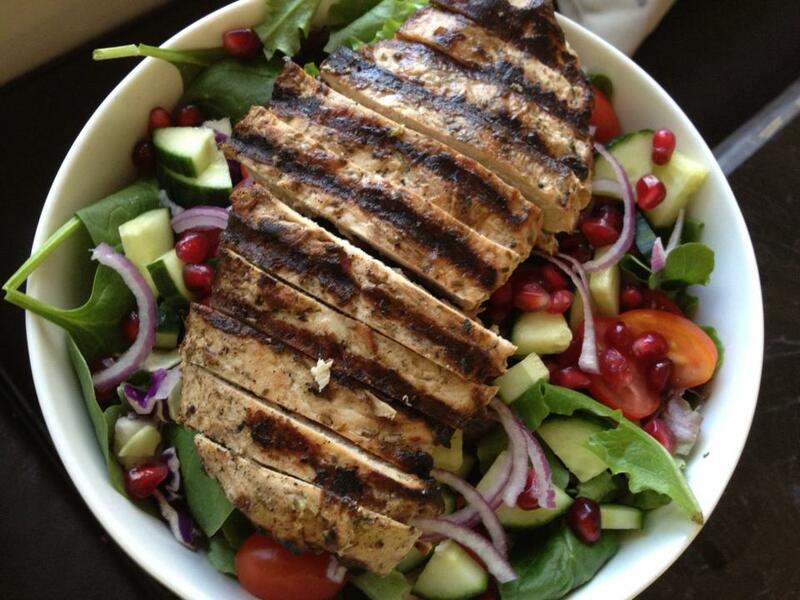 Another big salad with grilled balsamic chicken and pomegranate seeds. 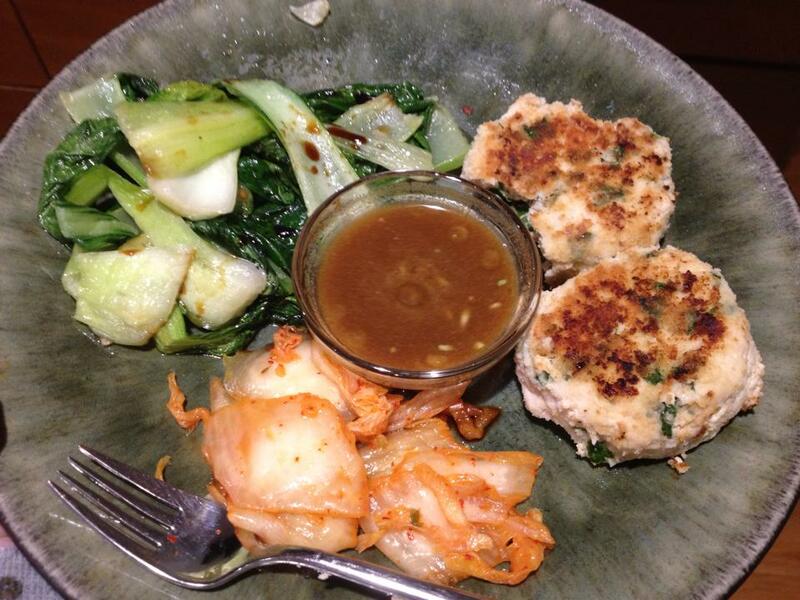 Paleo “chicken nuggets” (with a ginger dipping sauce), sauteed bok choy and kimchi. So many of my friends have been so supportive through this… which was inspirational and helped me keep moving forward! However, sometimes I felt like certain people kinda wanted me to fail. 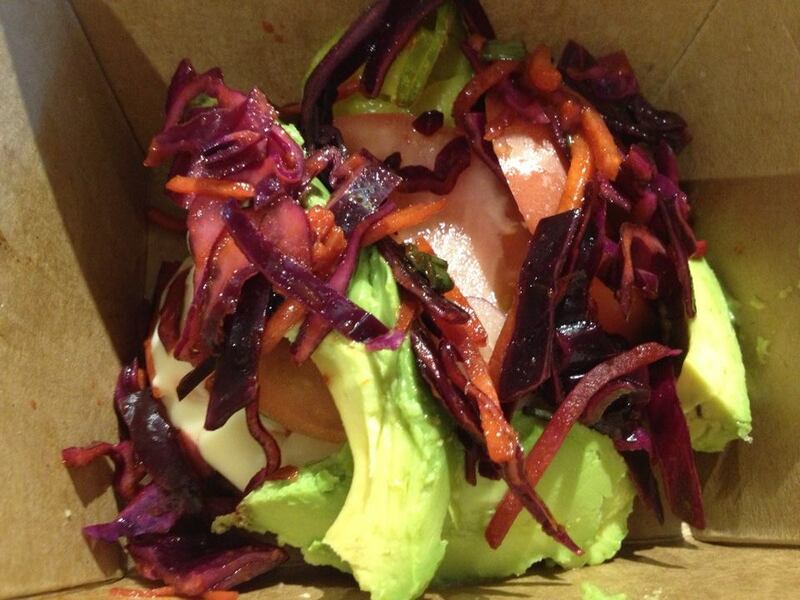 “Oh just eat it… it’s just one [insert thing I can’t eat here]”…. or “that can’t be healthy… avoiding all those things.” Yes actually, it is healthy. I think this may stem from them thinking they couldn’t do it… and therefore, they don’t want others to succeed. But that’s okay… I thought Paleo sounded really restrictive when I first heard about it too and thought that I could NEVER do it. Look at me now. 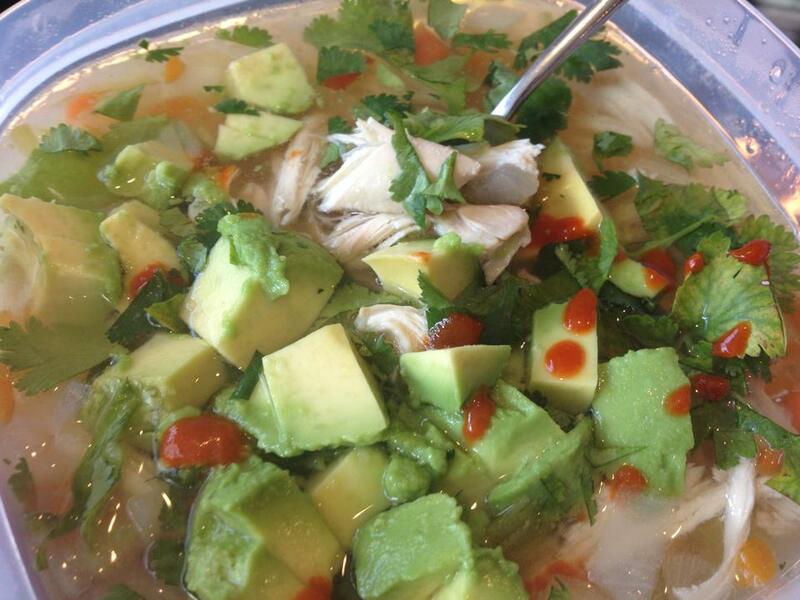 What did you gain from doing the Whole30? The number one thing I gained from doing this program for 30 days was even more self awareness of my body and how it reacts to foods. Things that I thought didn’t bother me, actuallydo — causing abdominal upset/pain and/or headaches. I don’t like feeling sick… so now I’ll avoid those foods that make me feel sick (or be sick, for that matter). I bet you’re going to go back to eating the way you used to tomorrow! Nope! Already did my grocery shopping for this week and only bought a few minor things that are considered ‘off plan’ (a goat’s milk brie, a sheep’s milk manchego and some dark chocolate with almonds). To me, it’s not worth it to ruin everything I just did. Sure, I miss some foods… but to be honest, not really many. 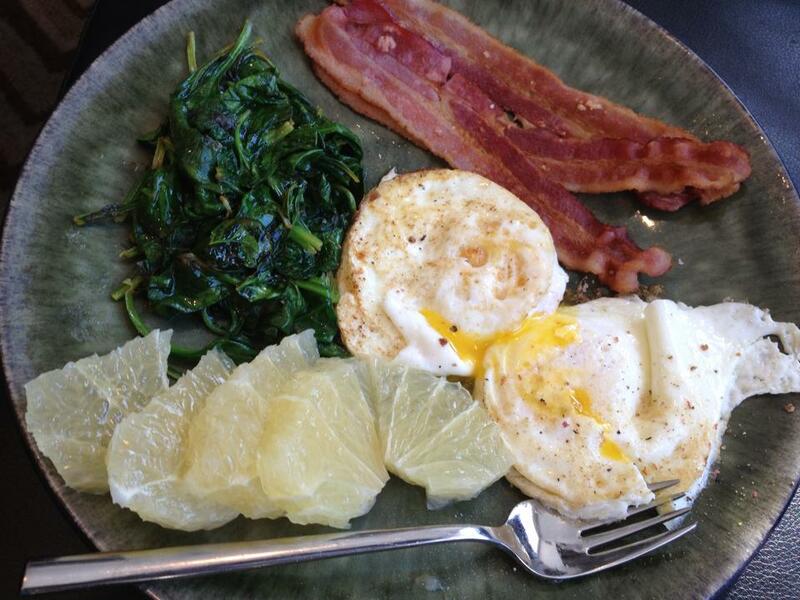 I was already eating probably a 50% Paleo diet… now my goal will be to keep it between 80-90%. Sure, I’ll have a glass of wine here and there (though, it’s made me feel very sick the few times I’ve had it since starting the program), but I don’t think I’ll eat wheat or gluten again. At least, not on any regular basis. I need to keep my sugar intake much lower too. I will omit 90% (or more) of all cow’s milk from my diet. I will probably cut WAY back on beans and legumes, as the few times I had them I felt really sick after (as well). Soy is a tough one… it’s in everything, but it’s also FILLED with GMOs. So, if I have to have soy, it will only be in it’s natural and/or organic state. So, on a final note… what WERE your “few cheats”??? I allowed myself one decaf soy latte each week (soy is not on program). But to be honest, even the decaf became too acidic for my stomach and I will limit myself even more moving forward. I had rice twice and beans once. I seriously regretted the beans… got an almost immediate headache and was nauseous the rest of the day. I had alcohol on three separate occasions… and regretted all three after due to the nasty headache and severe moodiness the next day. I allowed myself some artificial sweetener in the form of sugar free gum. Lastly, I had a little bit of dark chocolate 2 or 3 times. If I did it again, I’d try REALLY hard not to “cheat”… mostly because I am seriously addicted to sugar (still) and really want to kick that habit. I know this will help me cut WAY back, but I still crave it and will have to be super careful with my portioning and splurge choices.